We check over 450 stores daily and we last saw this product for $124 at Alexis Bittar. 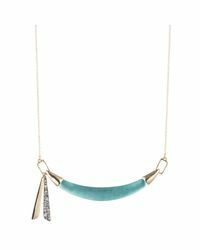 Crystal cascades dazzle on this daring Lucite bib in mint green. Shine on. 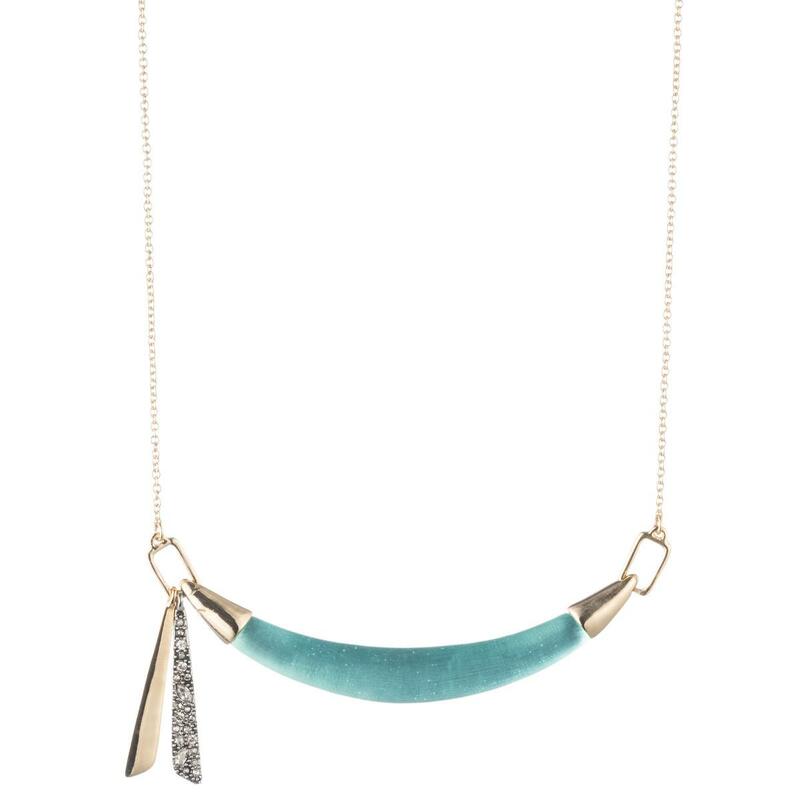 Hand Crafted Lucite, Crystal Accent and 10K Gold Tone Plated Brass. 16" length with 3" length extender.